Some companies will not tell you about their recalls. You have to find Audi recalls on the Internet yourself. 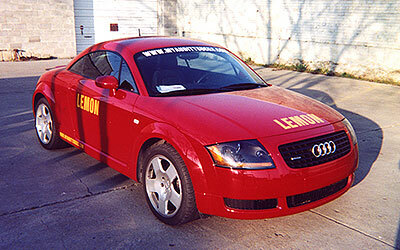 Below is how I found the recalls on my Audi TT. A friend emailed me an Audi recall he found on the Internet buried deep in a car magazine website. Note! I reserved email about Audi customer paying to have a new motor put in their Audi. Audi told them that they ruined the motor because they could not drive correctly. Remember Audi told me to take a driving test also. Now read the VW and Audi recall I founded on the Internet. VW/Audi recalls about 530,000 Cars. Audi owners on the roads many of times. as we have the parts. "Note! On the Audi talk website Audi owners were making up the problems and crying about nothing. From Komanelli I emailed Audi to ask about their bad treatment of their customer. thank you for writing. MarjorieAudiTalk"
Do a web search on VW and Audi recalls. The number of recalls will shock you.